Key Difference: The primary difference between a test and an examination is that fact both denote difference types of assessments. A test is usually a smaller and less important assessment as compared to an examination. An examination on the other had is usually more important than a test. It is often conducted at the end of a semester or the year. Terms like test and examination are often confusing because for all purposes they are used interchangeably. However, there are often times when one term will feel out of place, which shouldn’t be the case if both the terms were truly interchangeable. This happens because there is difference between a test and an examination. Both a test and an examination are types of assessments that one must undergo. They both are undertaken to access the level of one’s education or knowledge. The most primary instances where both these terms are used are in schools, colleges and universities. Classes often include a variety of tests and examinations before one is allowed to pass that class. If so, what is the difference between the two? 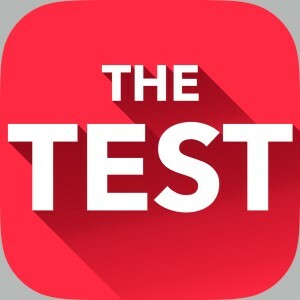 One difference between the two is that a test is used both as a noun and as a verb, whereas an examination is only used as a noun. Such as one can take a test (noun), or they can test (verb) somebody else, in both cases the term is used correctly. However, one can only take or give an examination (noun), if they must they can examine (verb) somebody else. Still, it should be noted that the primary difference between a test and an examination is that fact both denote difference types of assessments. A test is usually a smaller and less important assessment as compared to an examination. It is often utilized to see how much a student remembers after a particular class or some lessons on a particular subject. An examination on the other had is usually more important than a test. It is often conducted at the end of a semester or the year. 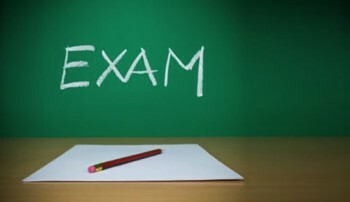 One class usually has only one or two examinations but may have many smaller tests. A test often also counts for a much smaller percentage of the grade than an examination. Some tests may not even count for the final grade. In addition to education, the terms are also commonly used in the medical field. Similar to education, a test is a smaller assessment to test for something specific, e.g. blood test, whereas an examination is longer more general assessment to ensure that nothing is wrong, e.g. a physical examination which checks everything comprehensively. A formal test of a person’s knowledge or proficiency in a subject or skill. An assessment to see how much one remembers or understands. An inspection to see how well one is doing, i.e. how proficient it or they are. Late Middle English (denoting a cupel used to treat gold or silver alloys or ore): via Old French from Latin testu, testum ‘earthen pot’, variant of testa ‘jug, shell’. The verb dates from the early 17th century. Longer, more general test just to ensure that nothing is wrong, e.g. physical examination.